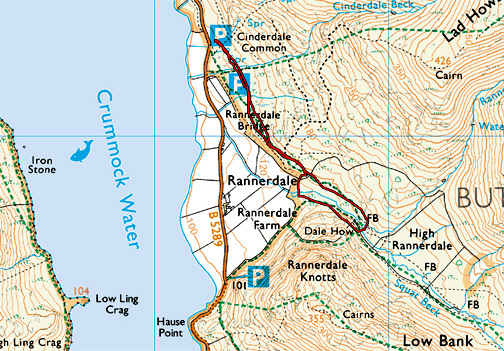 " Rannerdale - First walk back -"
Date & start time: Friday 6th May 2016, 4 pm start. 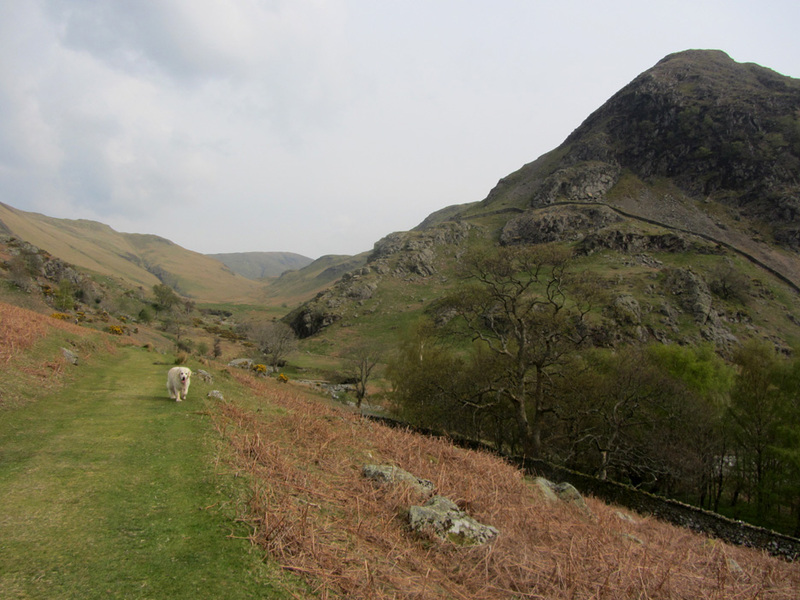 Places visited : Rannerdale Valley, out and back. Walk details : 1.5 mls, 250 feet of ascent, 40 mins. 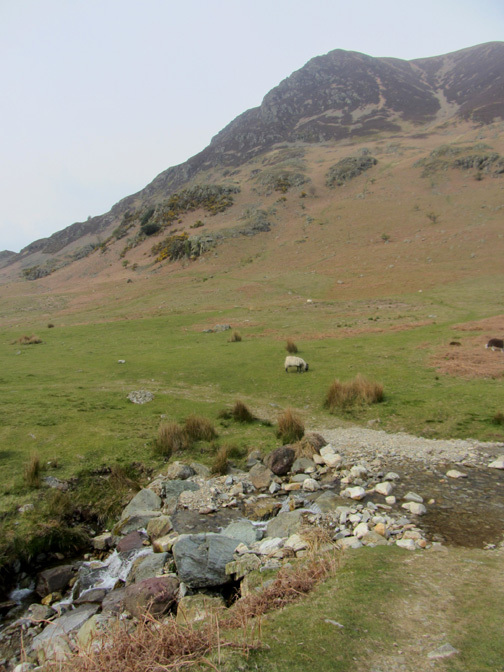 Highest point : The footbridge (fb) on the Squat Beck. Weather : Warm and sunny but air quality is low so rather hazy. 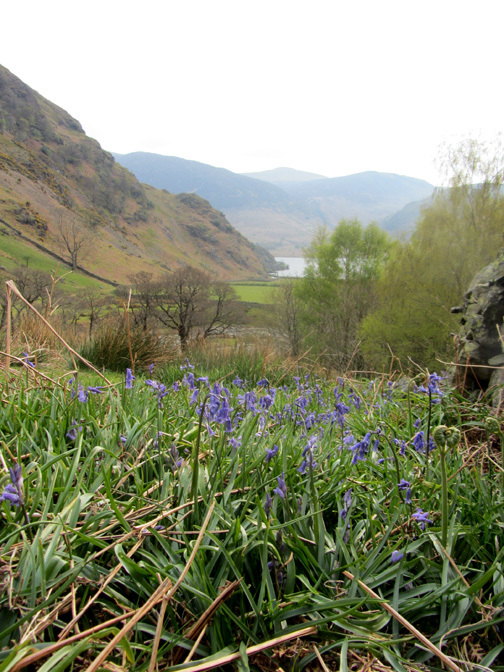 to see how the iconic bluebells have coped with the winter floods and the recent cold spring weather. Today it has been sunny and warm, a real contrast in valley weather in the last seven days. Let's face it, it was snowing last weekend while we were away, so I'm not expecting miracles. Parking at Cinderdale and waking along under Grasmoor. so our wider views are being compromised by a strong haze. and have asked us about the best time to see them. The answer is here in the pictures. before the flowers reach their peak. The daffodils in the enclosure around the tree are still in good fettle, as is the gorse higher up on the slope. 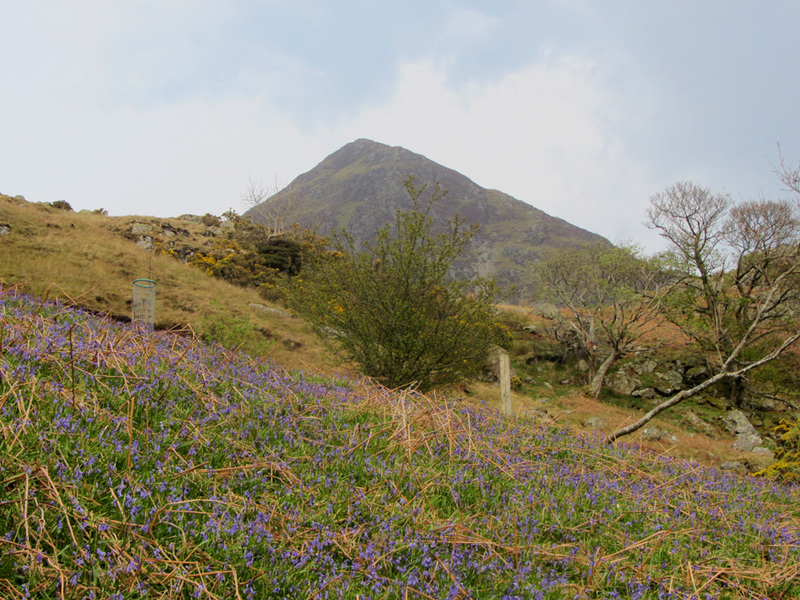 The first of the iconic bluebells are just starting to show through. 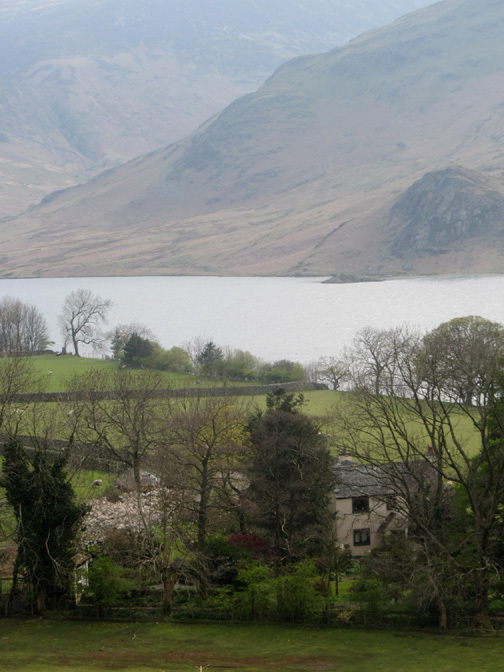 The triangular peak is Whiteless Pike . . . it should be called purple-less Pike today. 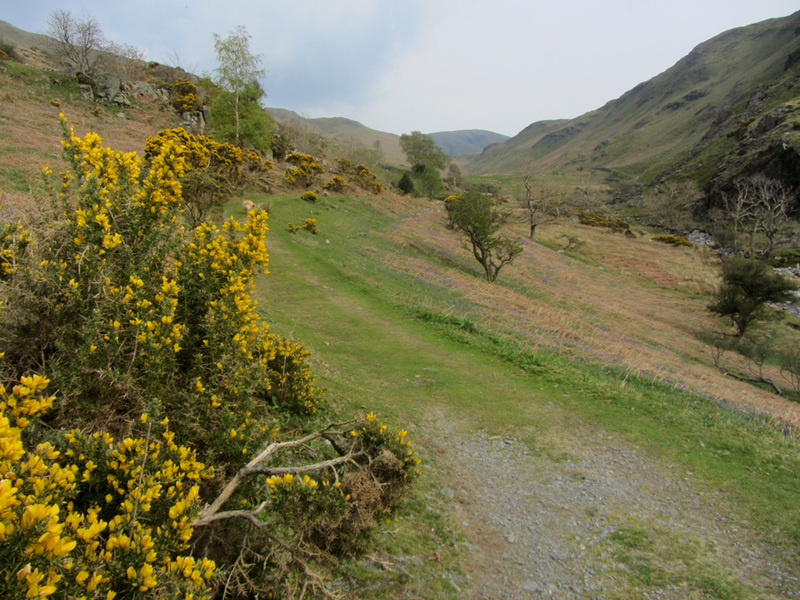 The gorse is in full bloom here . . . as the dogs and I walk the track towards the Squat Beck footbridge. Perhaps today's most intense patch of colour is just above the track. 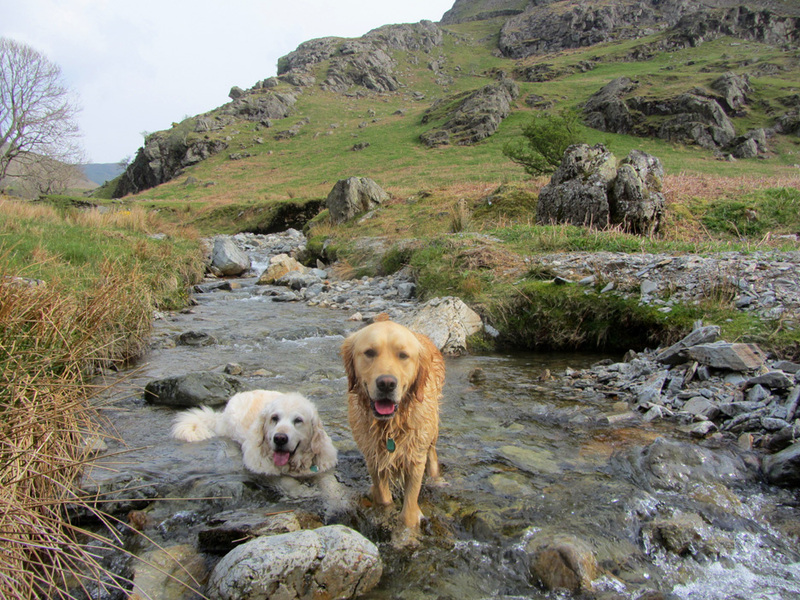 but Harry and Dylan approve of the warmer weather and enjoy a dip in the beck. I returned from whence I came ! STOP PRESS: The hazy weather has resulted in a fine red sunset over Low Fell tonight as the light started to fade. Technical note: Pictures taken with Ann's Canon Sureshot SX220. This site best viewed with . . . a few more days of sunny weather.